Rangers failed to provide boss Steven Gerrard with the reaction he was looking for as they followed up their Betfred Cup semi-final disappointment with a frustrating 1-1 Ibrox draw against Kilmarnock. Gerrard had warned his squad he was ready to look for replacements if they continued to under-perform like they did during Sunday's 1-0 Hampden defeat to Aberdeen. Alfredo Morelos returned to the Rangers line-up after being suspended for the sorry cup exit to the Dons and quickly put them ahead. But Greg Stewart, who was only cleared to play after Killie appealed a notice of complaint issued following an off-the-ball scrape with Hamilton's Scott Martin at the weekend, swept home a stunning equaliser soon after to seal a share of the points. The result was enough to see Gers climb above Livingston to fourth spot on goal difference but it leaves Killie three in front as Steve Clarke kept up his remarkable record against the Old Firm, which now reads as just one defeat from nine league encounters. Gerrard made four changes to the side who failed to perform at Hampden, with the dismal Umar Sadiq dropped completely as Morelos reclaimed his spot. And the alterations looked to have had just the effect Gerrard was after as his side grabbed the lead inside nine minutes. 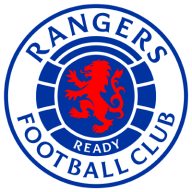 Scott Arfield, another of those recalled, quickened the tempo with a first-time ball to Ryan Kent, who slotted in Morelos to fire a deflected strike past Jamie MacDonald. But while the Light Blues were playing with a quicker pace than they managed during Sunday's sluggish showing, they paid a price in terms of accuracy and it cost them the equaliser on the quarter-hour mark. Joe Worrall missed a header before Jon Flanagan failed to clear his lines, leaving Stewart free inside the box. Back-up keeper Wes Foderingham was another surprise starter but its doubtful number one Allan McGregor would have got any nearer to stopping Stewart's stunning finish from wide on the right. Rangers skipper James Tavernier came within a couple of inches of giving his side the lead a minute later as his shot clipped the top of the crossbar. But Gerrard would have been frustrated by Gers' failure to shake off Clarke's side despite dominating in the same way they did against Aberdeen. 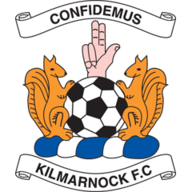 He introduced Ryan Jack and winger Glenn Middleton in a bid to shake up his attack - but Killie's dogged determination continued to frustrate the hosts. Kent tried twice from distance but was first denied by an outstretched leg before MacDonald made a vital stop just moments after clawing away a Connor Goldson header. Gerrard rolled the dice again as he sent Kyle Lafferty on to partner Morelos but there was no dramatic intervention as his ambitious over-head attempt flew wide. With desperation setting in, Morelos took a tumble in the box as he ran at Stephen O'Donnell but all he received was a booking after letting rip at referee Nick Walsh. Five minutes of injury time gave the home support hope but it was Gers who were booed off as the visitors came closest to snatching a winner when Stewart galloped clear before forcing Foderingham into a last-gasp crucial save.